As project planning of the new Pavlovsky ore processing plant and sea port proceeds, regional authorities say there will be plenty of money and jobs in the remote Arctic island. The Pavlovsky zink and lead mine in Novaya Zemlya will create 750 new jobs and provide up to 44 billion rubles of tax revenues, regional authorities in Arkhangelsk say as the project planning phase is about to be completed. It will be the northernmost mine in Russia and annual output is set to 220 thousand tons of zink, 50 thousand tons of lead and 16 tons of silver. Production is due to start in year 2023. The Pavlovsky mining area, Novaya Zemlya. Total investments will exceed 35 billion rubles (€462 million), of which more than 2,5 billion has already been spent, the regional Arkhangelsk government informs. The north Russian region earlier this year included the Pavlovsky project in its top priority list. With the project’s inclusion in the list follows up to 500 million rubles of tax benefits for project developer Rosatom and its mining subsidiary ARMZ. However, the region will get plenty of more in return as soon as the project is up running, the regional government makes clear. In the course of 12 years, overall revenues generated by the project will amount to more than 353 billion rubles (€4.66 billion), and taxes will total 44 billion (€581 million), a press release from the regional administration reads. According to Rosatom, the project design phase is to be completed by end 2018 whereupon the documents will be handed over to state authorities for review. 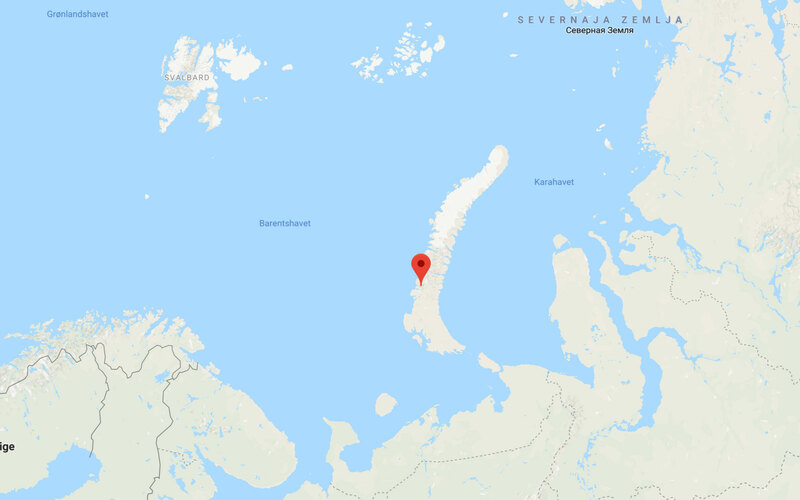 The Pavlovsky project includes the development of the rich ore resources located about 15 km from the west coast of the southern of the two Novaya Zemlya islands, as well as a new port and terminal facility with annual out-shipment capacity of 500,000 tons. Not everything is proceeding according to plans. Rosatom originally intended to launch production on site already in year 2019. Also investments have been revised. In October this year, the company informed that it was making corrections in its project development scheme following public hearings in Belushya Bay, the main settlement on the archipelago. Locals in the area and environmental organizations had objections regarding the environmental aspects of the project, a company representative told TASS. Novaya Zemlya is closed military area strictly controlled by the Russian Armed Forces. A lion’s share of the archipelago is covered by glaciers and environment in the region is considered highly vulnerable to industrial activity. From 1957 to 1962, a total of 86 nuclear bomb tests were carried out in the atmosphere at Novaya Zemlya. The tests include the largest nuclear devices ever exploded, like the 58 megatons so-called Tsar-bomb on October 30, 1961. Between 1973 and 1975, the southern island of Novaya Zemlya was used for larger underground nuclear tests. From 1976 to 1990, all underground nuclear tests took place at the northern test-range in the Matochin Straight. Since 1990, only so-called sub-critical nuclear tests have been conducted at Novaya Zemlya.